Patrick Sutton started wrecking houses and re-designing them in 1995, while still practicing law in Washington, DC. 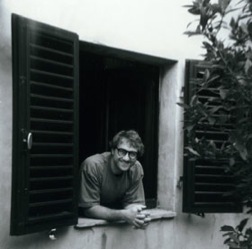 His early projects received national exposure in print and television and firmly established him as one of the most noteworthy independent kitchen & bath designers in the US. This was owing to an approach that rejects the wall-to-wall, factory-cabinet approach to "selling" kitchens like commodities. He started designing and building kitchens & baths full-time in 1998, and also began writing regular columns and features for Taunton Press and its Fine Homebuilding publications. Patrick has taken a hands-on approach in most of his projects, acting as general contractor or construction manager and doing more carpentry and finishing work on hot, dusty construction sites than he cares to recall. Along the way, acquiring expertise in 3D modeling and design, Patrick began routinely designing and overseeing the fabrication of furniture, metalwork, glass, and other custom items for his projects as well as one-off commissions for his clients. Patrick works with an assortment of artists and craftspeople to build the pieces seen in his projects. Patrick has law and graduate english degrees from Duke University, and undergraduate degrees from Southern Methodist University (SMU). He lives in central Austin with his wife, Kathryn, and their three boys, Peter, Daniel, and Luke. Patrick also has a general civil law practice with an emphasis on construction and design trades issues. In his spare time, he writes dubiously long science fiction.